EFA News - European Food Agency - The Greenhouse Technology Village is born in "Macfrut 2019"
The Greenhouse Technology Village is born in "Macfrut 2019"
At "Macfrut 2019" the key player will be world horticultural revolution. The fair is made unique by the presence of a real village of innovation in greenhouse horticulture: the Greenhouse Technology Village. An area, in the East entrance of the Rimini exhibition pavilions, designated to host producers of technology, materials and technical means, seed companies and specialized nurserymen. 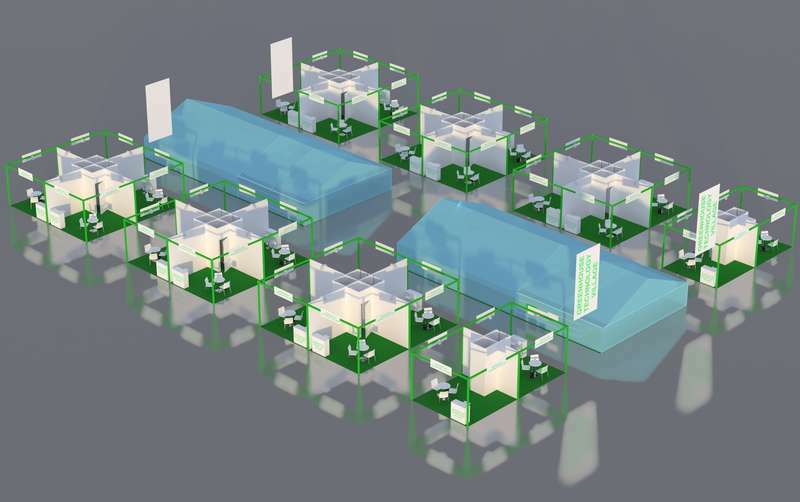 A project that does not stop in the three days of the fair (8-10 May 2019), but could continue in the exhibition center of Cesena Fiera through the construction of a permanent demonstration center for greenhouse horticulture. The project was presented last Tuesday 27th at the fair to stakeholders in the sector. Greenhouse horticulture is one of the areas that is rapidly and majorly evolving, and Italy, despite excellent companies, is currently lagging behind world horticultural leaders such as Holland and Belgium. In protected horticulture, technology, both hardware and software, plays a key role in managerial and production processes. In greenhouses where it is possible to regulate and control temperature, humidity, light and nutrient intake through fertirrigation, it is becoming increasingly important. The advantages stemming from improved use of natural resources appear increasingly important as in greenhouse crops it is possible to optimize the consumption of water and chemical fertilizers, and the environmental impact is minimal because cultivating in a protected environment means less use of plant protection products. This is where the Greenhouse Technology Village in Rimini is born, intended to become a reference point for the whole greenhouse horticultural sector. A highly specialized space designed to host the latest news from producers of technologies, materials and technical means but also seed companies and nurserymen. The project will lead to the creation of a Permanent Demonstration Center for greenhouse horticulture near Cesena Fair. The Center's objective, presented last Tuesday 27 November at the Exhibition to the relevant stakeholders, is to closely illustrate the technological innovations in the horticultural sector by creating a test field that also acts as a training center on both the agronomic and technological aspects (technicians, farmers and operators of the sector, both Italian and foreign). This Center should also be used to support highly specialized exhibitions and conventions of international standing, in synergy with Macfrut, as well as for training and internship activities in close collaboration with the Agricultural Institute and the University. "Despite the significance of this sector in Italy, a structure of this type is not present” -Renzo Piraccini, president of Macfrut, explains. Building a Center in Cesena with such characteristics could mean a revival of the horticultural sector in the Romagna Region and generally at a national level. One of the reference models of this project can be Acqua Campus, the demonstration center on irrigation technologies managed near Bologna by CER and ANBI. For the management part, the idea is to create a corporate container which involves the participation of stakeholders in the sector, while the users-partners should be the individual companies interested in promoting their innovations and to carry out trade shows or promotional events".